"When I started this game I was in bronze league; a complete noob. After learning about Shokz guide my play improved 10 fold and I found that I had not only gotten better, but also now had the tools to learn on my own. If you give a man a fish, he'll eat for a day; if you teach a man to fish, he'll eat for life. My name is IMNesTea.174 (fake one, in case anyone wants to know) and Shokz taught me how to fish." "Hey man, just wanted to say good job on your site! I recently read up on your void ray rush and played a 2on2. My teammate left as soon as the game began and I managed to beat them both thanks to your guide! Thank you so much and keep up the good work!" 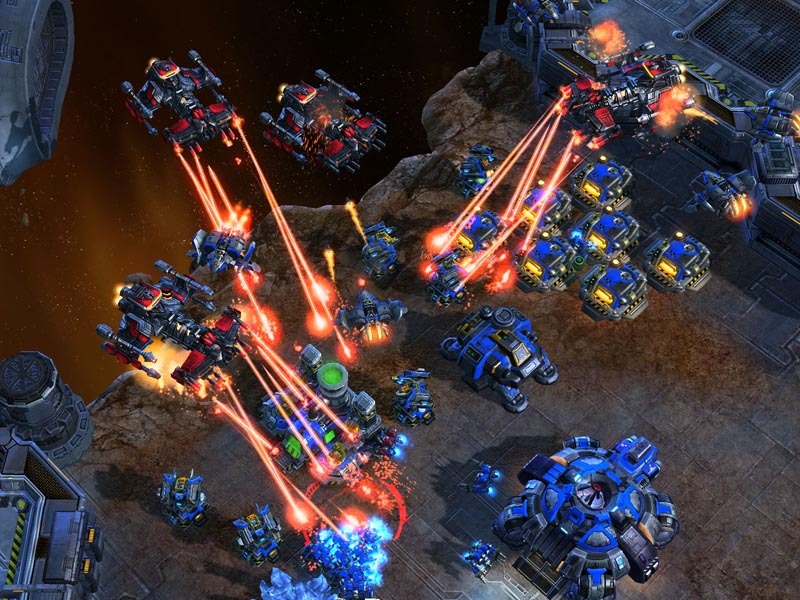 "I've been using the terran build orders and some strategies and yesterday i reached #1 in diamond. 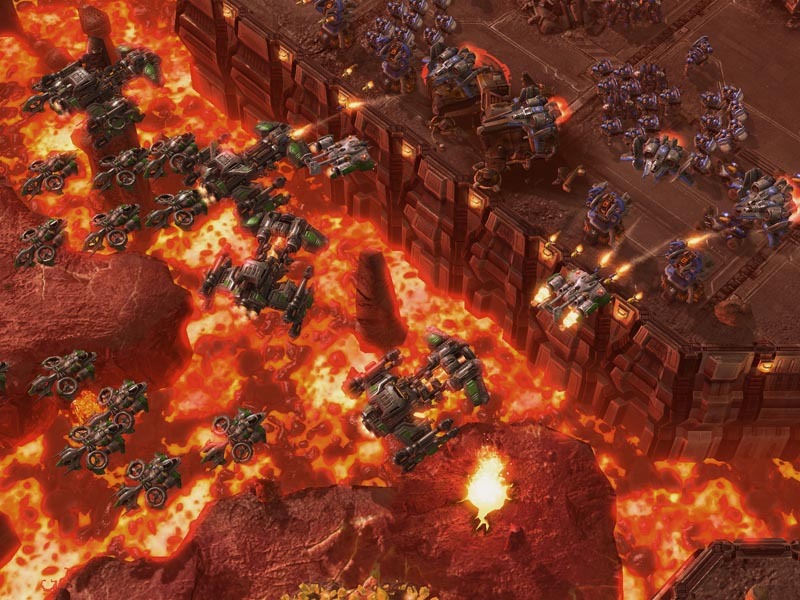 Just wanted to say "thanks" .."
"I'm a newbie to StarCraft II and I will be honest, it's the first time I ever tried grasping a real time strategy game so it's all a really new thing to me. 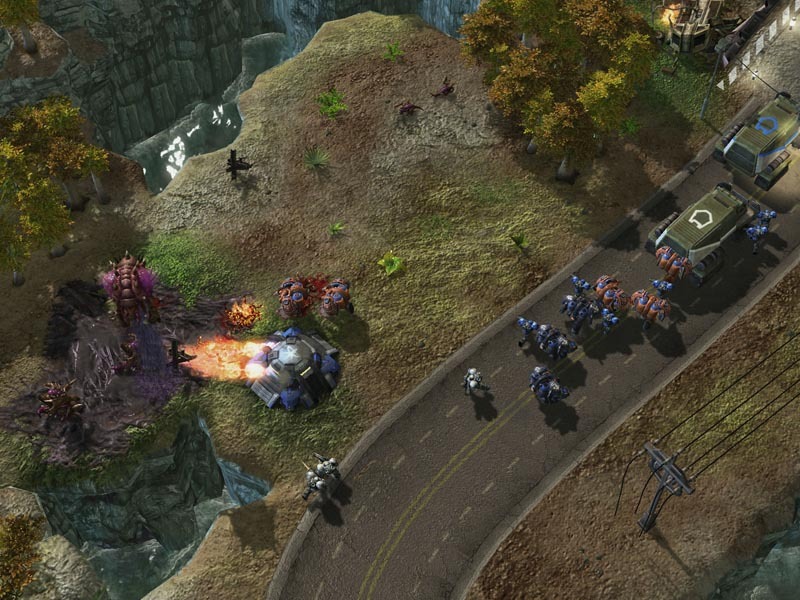 Going from FPS shooter to RTS was quite a leap for me. At first I was stuck on the very end of the bronze league and now with the help of your strategies I am slowly improving and learning to play much better but still stuck in the middle. I admit I do better at 2v2 than I do in 1v1, my friend and I work wonders when we have a sound plan. My 1v1 still needs a lot of work but this guide has definitely helped me so I thank you Shokz and keep the strategies coming! =)"
"Thank you very much for the quick reply! Following your guide I have just been promoted to the Gold League from Silver in 1v1 :) Protoss stalker/colossus or void rays ftw! Thanks for improving my game." "Hey Shokz, This Guide is Great! I'm new to Starcraft and I was really skeptical at first because I have never bought an online guide before, but after going through all these strategies, I now know a ton more about each unit and the game in general. I win all the time and feel like a pro!" "I just finished my placement matches and went 4-1... and the one loss was ridiculously close. They've stuck me in the middle of a platinum league - which I'm very excited about. Amazing what a few pointers can do!!! Shokz guide makes all the difference. It's not that I'm following some printed out set of instructions. I'm actually changing the way I naturally play. The most useful things are the simplest... like never stop building probes, don't forget the chrono boost all game long, keep spending your money, etc. One of the most important for me, probably above all, is don't be in a hurry to finish them off. I usually like to start the game off with a backdoor warp prism on their mineral line (almost always works). But then I'd hurry to attack so they didn't have time to recover. BUT, waiting so my resource advantage has a time to develop makes all the difference. So instead of attacking when we're still even, I just expand and take map control. The unit and strategy guides are important, and I'm reading them to expand my game. The early return is the quickest (it's amazing), but I'm sure I can keep getting better and pull up to the diamond level"
"I was a really (REALLY) god awful player. My mind would just freeze up when I saw all the options I had and before I could build any substantial structures, my friends would wipe me out of the game. But ever since I started reading your guide I've improved very quickly and feel like you have given me a chance against my veteran friends. Thank you for that." "I've got to say, i am just stunned at how amazing this guide is. that may sound cheesy but i thought SC2 was just about wining,and winning again, but it makes sence to have that mind state." "Thank you Shokz!!! your guide has helped me so much! when i got it i was ranked around 40 in my silver league. after i read some of your strategies i clawed my way up to 4!!!!! Thank you i am winning a lot more now and i hope to get promoted to gold soon!!!! :)"
"I have been playing StarCraft 2 sense the beta came out but I always seemed to be going down I the the ladders from gold to silver or from silver to copper but with this guide i have been able to move up in the ladder. i have just moved from gold to platinum and still getting better. Shokz your guide is top notch." "Just wanted to write you a quick note to let you know how much I enjoy your guide. I spent from Wednesday until today reading all the Terran strategies, making notes, and writing little build cheat sheets. I practiced some strategies against the AI, then I just took it to the multiplayer this morning. I played 2 games, 2 victories in about 6 minutes each. The 11 starport opener is fantastic. I was able to eliminate all of their workers in both games." "I wasn't sure what to expect when I purchased your guide, but the quality is top notch. The videos and screenshots in the strategies help a lot." 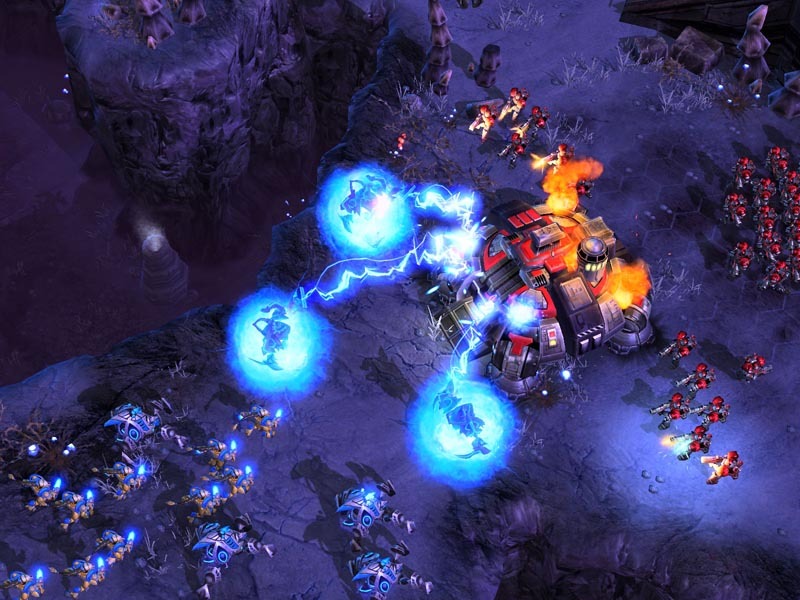 "I started Starcraft 2 without any Starcraft experience, and some mediocre warcraft 3 skills. I was promptly placed in the bronze league. After reading up and practicing the strategies from Shokz guide, I got to platinum in a manner of days. This guide saves you time and effort trialling basic build orders and unit combos, and once you master the basics you will be crafting your own strategies in no time. Whether you're a starcraft noob, or a seasoned veteran, you will surely learn many things from this guide, and the constant updates will keep this relevant well into the future as the game evolves." "If this guide continues to expand at the rate it is now with nothing but quality information, screen-shots, and videos it's easy to see how it can rapidly become one of the net's best compendiums of SC2 information with something for everyone from first-timers to Platinum and Diamond ladder players." 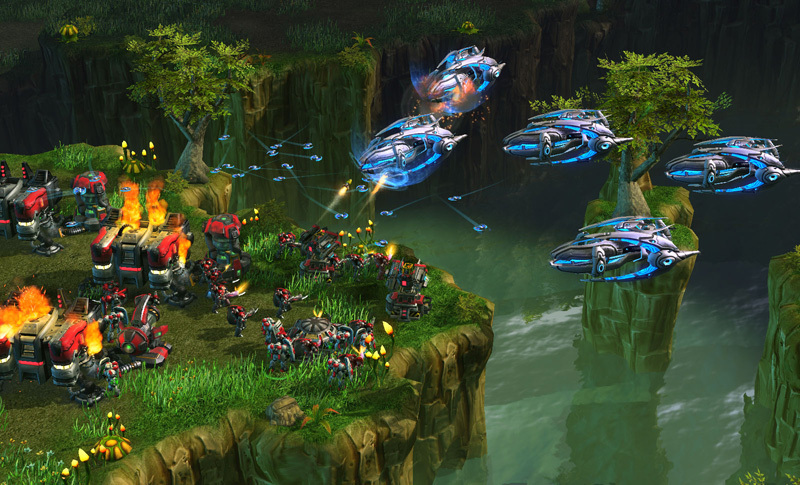 "I started Starcraft 2 without any Starcraft experience, and some mediocre warcraft 3 skills. I was promptly plalced in the bronze league. After reading up and practicing the strategies from Shokz guide, I got to platinum in a manner of days. This guide saves you time and effort trialling basic build orders and unit combos, and once you master the basics you will be crafting your own strategies in no time. 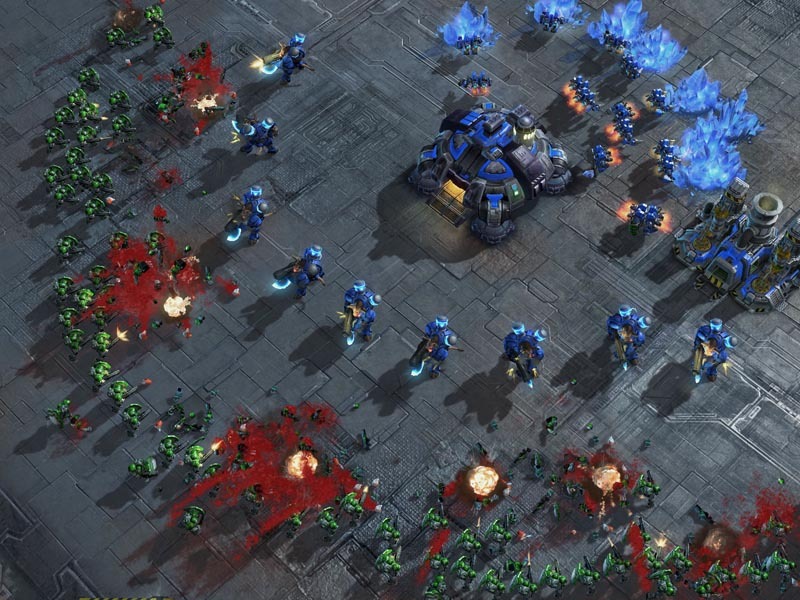 Whether you're a starcraft noob, or a seasoned veteran, you will surely learn many things from this guide, and the constant updates will keep this relevant well into the future as the game evolves. Bottom line: If you want to become a better player, you want this guide." "I love Starcraft II. I played the original starcraft as a little kid, but I couldn't get anywhere in that game without at least using "black sheep wall." But I had good memories. So when I finally got this game I realized, I don't remember anything about it. 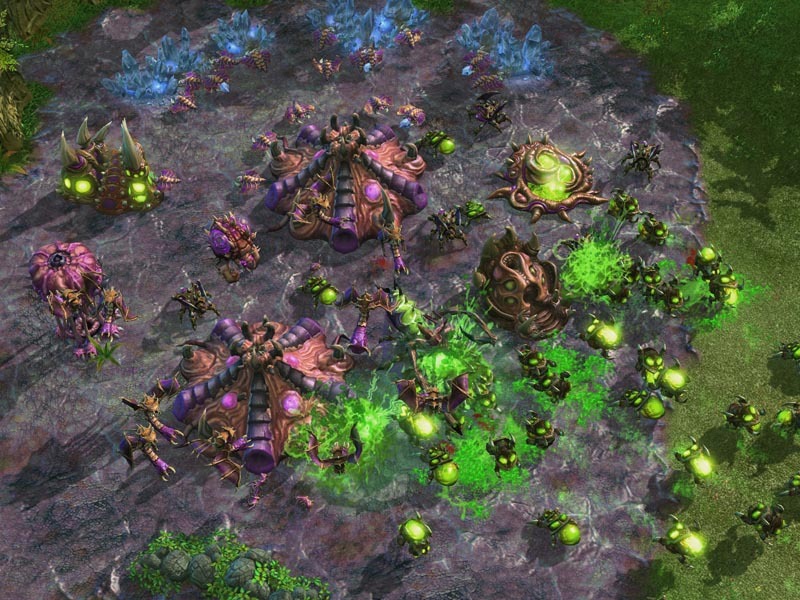 None of the Zerg units, none of the Protoss Strategies, and none of the Terran tech trees. I played through the campaign, about midway through I thought "Why not buy a guide or something to improve my skills?" So I looked and I saw your guide. The great testimonials and the 60 day guarantee I thought, "Why the hell not?" So I bought the guide and I LOVE it. I don't try to copy every little detail you say, but I use it as a reference and something to base my own strategies off of. This has helped me a great deal, I've been doing great in practice league games and right now I am at 8-1 (w - l) and I have to thank you for it. I now am a pretty decent Terran player and your guide is helping me evolve above and beyond what I could have done on my own. Your guide is the absolute best"
"Shokz, thanks for the tip as a protoss. I play protoss mostly too and i wish i can learn mire about you. Its been 2 and a half seasons when i got this game and im already diamonds. THANKS!" "He helped me learn more on the concept of stuff i thought was simple but was complex i went from bronze to diamond in season 4 staying in diamond for now on totally worth it." "I was shocked by the vast amount of information and strategies contained within this guide as it covers everything you need to know about Starcraft 2 (guides for all the races, beginner's guide, guide for online play, and much more)." "I was amazed by the amount of content found in those guides and its quality, and again the author came through and made an excellent Starcraft 2 strategy guide covering pretty much everything." "I bought Shokz Starcraft 2 Strategies guide about a week back. I did not expect much from this guide as I had already read the other guides. But to my surprise it turns out that Shokz Starcraft 2 strategy guide is much better than the other guides." "Shokz guide is not just a starcraft 2 guide, it builds a community of sc2 players worldwide. Shokz is committed to keep this community updated with the latest strategies, newest tips, and great resources for you to feast on."